It's time to grieve the loss of summer. Bethany Beach will continue a unique end-of-the-summer tradition on Labor Day by hosting its 26th annual Jazz Funeral to say goodbye to summer. The event is a light-hearted celebration that allows atendees to be a part of a mock funeral procession that carries a mannequin representing Summer 2011 down the boardwalk. The musical celebration draws influence from New Orleans' jazz culture, where the concept of the jazz funeral originated. The free event also features three jazz bands. Activities will begin around 5:30 p.m. Monday at the north end of the boardwalk. 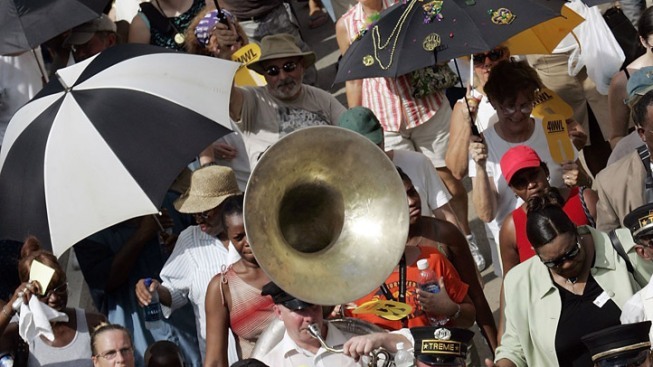 For the past six years, the Jazz Funeral has been fittingly dedicated to those impacted by the aftermath of Hurricane Katrina. A silent auction on Friday, Sept. 2 will donate proceeds to the American Red Cross.